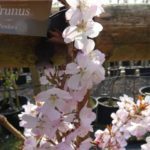 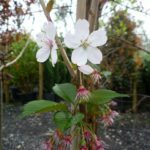 Prunus ‘Pandora’ is a small deciduous tree with a broadly vase-shaped canopy and upright habit. 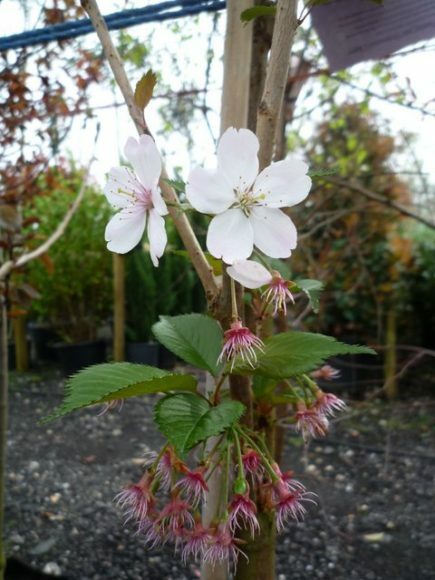 Single, very pale pink flowers appear in spring, which are followed by green leaves, which turn pale yellow in the autumn. 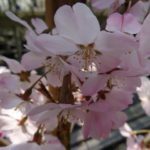 The young bark is a radiant brown. 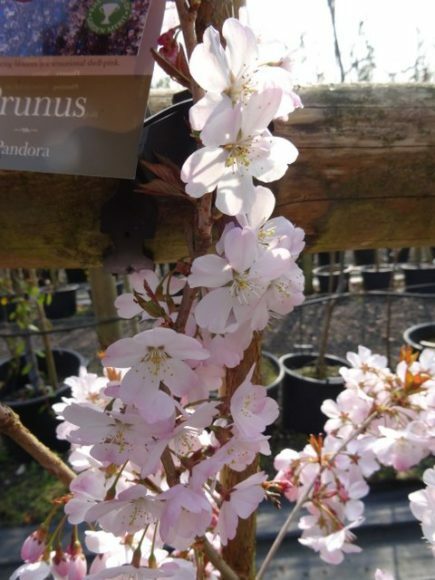 Prunus ‘Pandora’ has an eventual height of 8-12m and a spread of 4-8m. 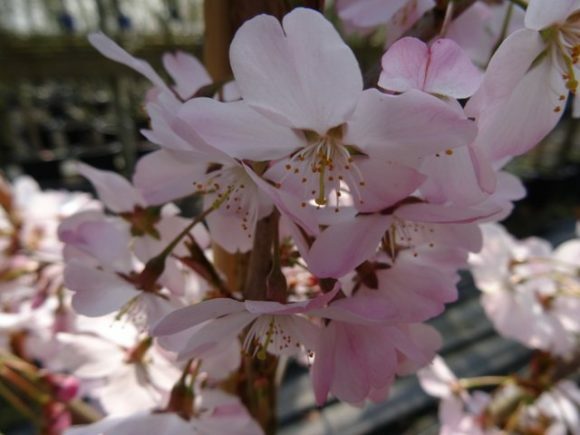 It prefers a moist, well-drained soil and can be planted in full sun in either a sheltered or exposed position.